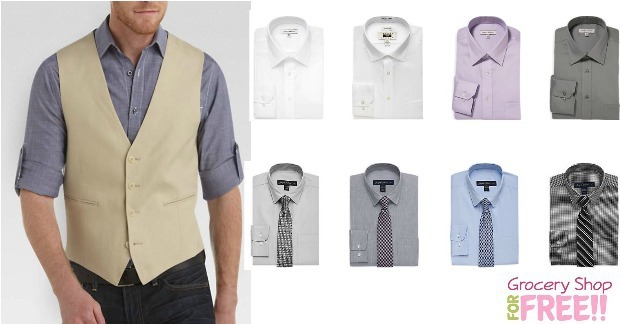 Men's Dress Shirts Just $7.99! PLUS FREE Shipping! You are here: Home / Great Deals / Men’s Dress Shirts Just $7.99! PLUS FREE Shipping! Men’s Dress Shirts Just $7.99! PLUS FREE Shipping! Right now Men’s Warehouse is having a 60% off Clearance Sale! PLUS shipping is FREE with no minimum, too! You can get these Joseph Abboud White Classic Fit Non-Iron Dress Shirts for just $7.99! Down from $79.50!